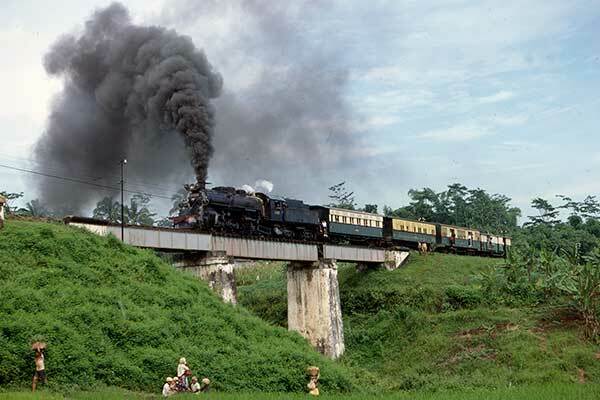 Caption - The 0910 branch train from Cibatu to Garut leaves Cibatu behind CC50 2-6-6-0 Mallet no.5024. The rolling stock used on this train was better than many services and had actually been designed for passenger rather than freight duties! Trains such as these were well within the capabilities of these massive engines although such was their state of repair that they often struggled.